NIA CHARLESTOWN NEVIS (APRIL 25, 2016) — The following is an address delivered by Hon. 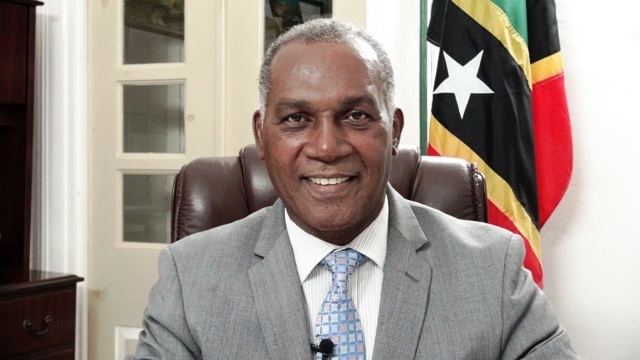 Vance Amory, Minister of Nevis Affairs, Labour, Social Security and Ecclesiastical Affairs on April 24, 2016, heralding a week of activities to mark World Day for Safety and Health at Work observed on April 28. On 28th April 2001, the International Labour Organisation (ILO) first marked this date as “World Day for Safety and Health at Work”. This was based in the recognition of workers Memorial Day which the Trade Union Movement instituted to commemorate workers who suffered as a result of occupational injury, disease or death. The ILO sought to bring a tripartite focus and awareness to the need for accident and disease prevention at work, and has recognised this date every year since 2001. This year, the theme for world recognition is “Workplace Stress: A Collective Challenge”. The theme is timely as work-related stress has become a global issue affecting all professions and all workers in both the developed and developing countries. Today, we see more and more workers exposed to psychosocial risks/hazards due to increased competition, higher expectations on performance and longer working hours. These factors, contribute to the workplace becoming an ever more stressful environment. With the pace of work dictated by instant communications and high levels of global competition, the lines separating work from life are becoming more and more difficult to identify. This, coupled with significant changes in labour relations and the current global economic situation, workers are experiencing organisational changes and restructuring, reduced work opportunities, increasing precarious work, the fear of losing their jobs, massive layoffs and unemployment and decreased financial stability, with serious consequences to their mental health and well-being. Due to the increased competition at work, resulting higher expectations in regards to performance and longer working hours, have contributed to the risk and the mental and social distress. According to the National Institute for Occupational Safety and Health (NIOSH), job stress is any harmful physical and emotional responses that occur when the requirements of the job do not match the capabilities, resources, or needs of the worker. Moreover, that workplace stress affects one in five of the working population from the newest recruit in world of work to the board of directors. Stress is now the single biggest cause of sickness in the world and can lead to poor health and even injury. Workplace stress results in over 105 million days being lost to stress each year, costing companies billions of dollars due to loss of productivity. To sum it up, protecting workers’ health and promoting their wellbeing through improvements in their working conditions and environments and the prevention and control of occupational accidents and work-related diseases must be of the highest attainable standards of health at work which enables every woman and man in every workplace, to live a socially and economically productive life. The social partners in the world of work that is workers and employers, you too must do your part to alleviate workplace stress. Employers, you should be aware of the negative effects of the psychosocial hazards that may affect workers as a result of overwork and their lack of control over their tasks with the consequences of work-related stress and related coping behaviours and health outcomes. Employers, you are obligated to provide workers with working conditions that facilitate their normal physical, mental and social development as well as the independence of their moral and civic consciousness. To this end employers, you are required to create a pleasant work environment that can reduce workers’ physical fatigue and reduce mental stress. Moreover, you must allow workers enough free time to rest. You must allow them time for training and retraining, for recreation and social life that will combat workplace stress and increase productivity in the long run. Unions, you can develop awareness-raising materials and campaigns looking at the impact of psychosocial risks, stress, anxiety or burnout on your members and seek to negotiate better policies and practices to improve wellbeing, to reduce workload and pressure and address the demand for constant availability of work without reducing the productivity of the workforce. Workers and employers, I implore you to come together and jointly develop and disseminate our brochures, disseminate our guides and educational materials on the psychosocial risks and hazards and work-related stress. Likewise, jointly organise training, workshops and conferences to deal with these issues. We encourage you to utilize collective bargaining agreements to address psychosocial risks and hazards and work-related stress, to ensure that there is decent work for our Federation’s workers. For it is only through a collective effort, that we here in the Federation of St. Kitts and Nevis can work towards reducing workplace stress and creating a harmonious working environment. In keeping with the spirit of tripartism, the social partners in the St. Kitts and Nevis Trades and Labour Union’s workers’ representatives and the St. Kitts and Nevis Chamber of Industry and Commerce the employers’ representatives along with the St. Christopher and Nevis Social Security Board and St. Kitts and Nevis Information Service (SKNIS) joined the Ministry of Labour in planning a Week of Activities in keeping with the ILO’s thematic outlook for this year. The Week commences on Sunday 24th April and concludes on 01st May 2016 and it will include a church service on Sunday 24th April at the St. Peters Anglican Church, a Rap session at the Advanced Vocational Education Centre (AVEC) and the Clarence Fitzroy Bryant College (CFBC) on Monday 25th April, a Health and Safety: Stress Free Symposium for high risk workers in the Federation onTuesday 26th and on 28th April – World Day for Safety and Health at Work, a Safe Day Stress-Free Rally at Independence Square from 11:00 a.m. to 3:00 p.m. and in the evening, a panel discussion live on ZIZ Television and Radio at 8:30 p.m. On Friday 29th, there will be a Safe Day Stress-Free Rally at the Square in Charlestown and 01st May, the Week concludes with a church service in Nevis. As Minister responsible for Labour in the Federation of St. Kitts and Nevis, it gives me great pleasure to declare open World Day for Safety and Health at Work Week and to wish all of the people in the workplace all safe, stress-free and productive day on this the 28th of April but also on every work day in the working life of the employers and the employees. May God help us as we seek to reduce stress at work but even on reducing stress, to increase productivity.